I love life's roller coaster; I crave drama and surprises and unanticipated outcomes. But even for us adrenaline junkies, once in a while it's nice to embrace the sure-to-deliver and guaranteed not-to-disappoint things in life. 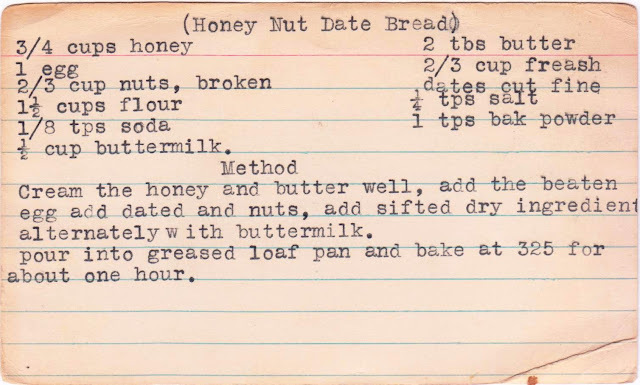 And that's exactly what this Honey Nut Date Bread is -- a comforting, reliable confection that, while it won't knock your socks off, will make you very, very happy. First, it's easy to make. It involves no tricky techniques that could potentially torpedo the finished product. If you can measure, chop and mix, you're good to go. Second, it tastes better the next day, and even better the day after that. Third, it's good any time: as delicious for breakfast as it is with your afternoon coffee. I used a combination of fabulous medjool dates (above) and lowest common denominator dates from Costco, and I think the bread would have been just as good using all Costco dates. If you don't have buttermilk, you can make your own -- just mix one tablespoon of white vinegar or lemon juice with one cup of milk and let it stand for about five minutes. Then proceed with the recipe. 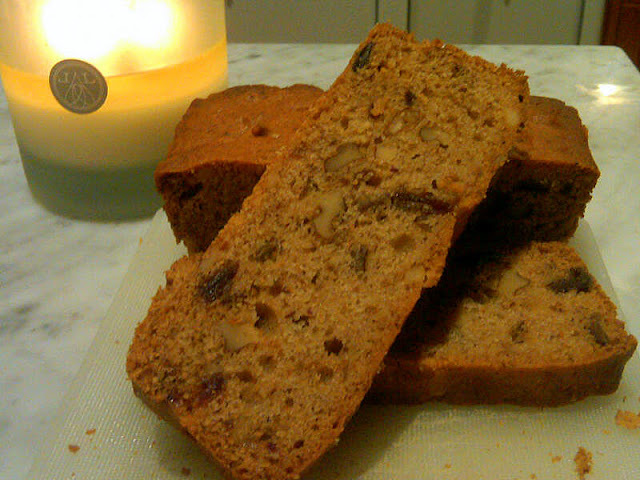 Honey Nut Date Bread is really a cake, one with a mellow flavor from the honey and a finely textured crumb. Next time you're looking for a sure-thing baked good, I do hope you'll try this. No disappointment guaranteed. I am so impressed with this blog idea! 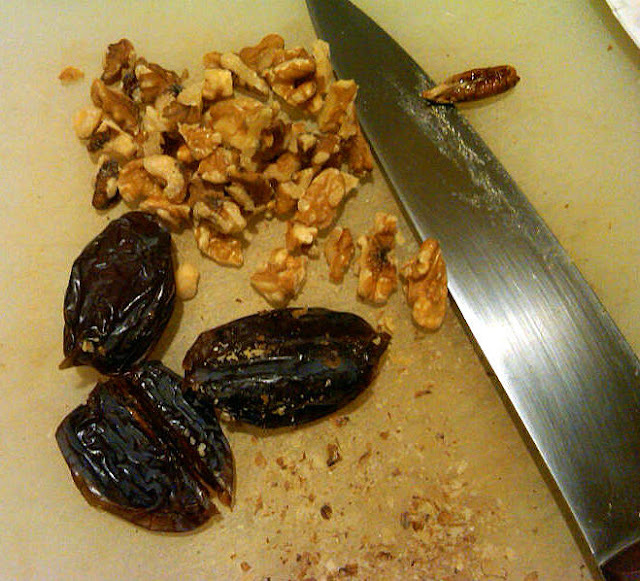 I have been trying to dig around in friends' mothers' kitchens, traveling, and and generally trying to dig up a "from scratch" recipe from whomever offers one. So much of my mom's recipes (and even grandmothers'!!!! Im 24...) are full of specific-brand or shortcut ingredients and methods. Hannah: Thanks so much for writing! I love that you bake from scratch and I do agree that so many (even older) recipes are filled with questionable ingredients. I have about 10 recipes for fruit cocktail cake, which at first I rejected, and now think I might try (just for fun). I really like your blog; keep up the good work! I made this tonight, wonderful recipe! We love it. Thanks for sharing! !